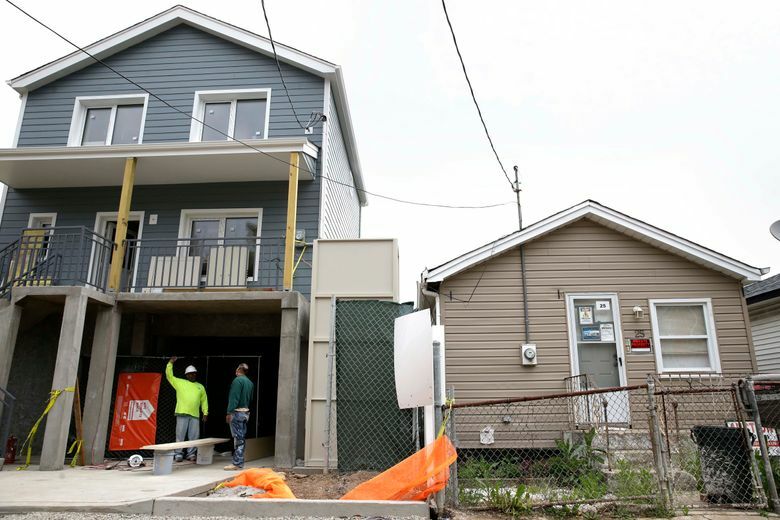 BABYLON, N.Y. (AP) — Matt Price and his wife, Carla, are gambling that the devastation inflicted by Superstorm Sandy will be their key to the American dream of home ownership. 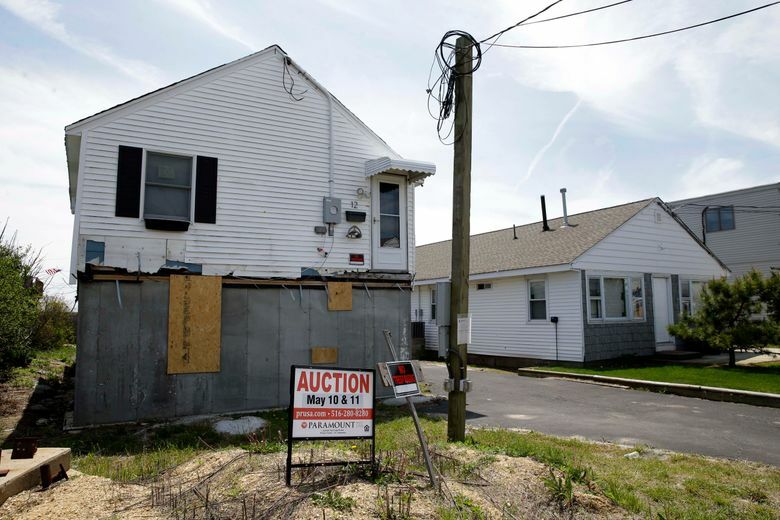 The couple was among the successful bidders at an auction Wednesday that sold off the last of more than 400 flood-damaged houses that were purchased by New York state after the superstorm devastated shoreline communities in 2012. Their prize was a modest, four-bedroom cape in Babylon that sits across from a boatyard and a canal that spilled over its bulkheads during the historic storm. As part of a program to bail out distressed homeowners in the most flood-prone neighborhoods, the state paid $435,000 for the property, based on an estimate of what it was worth before the storm. 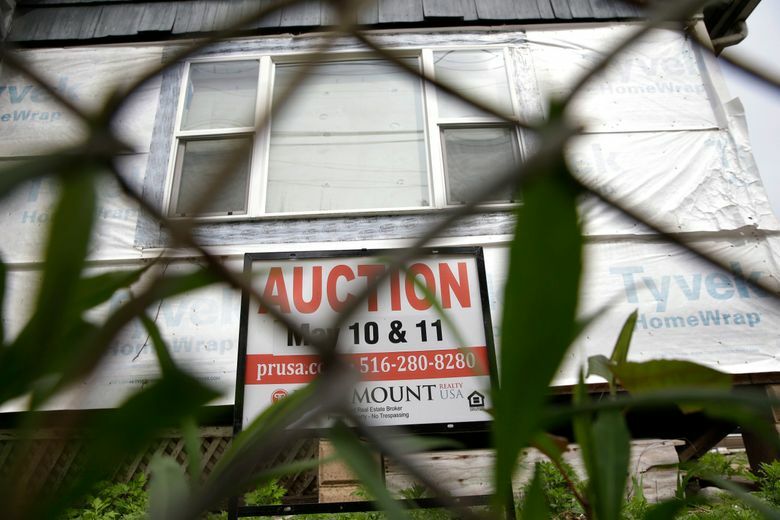 Matt Price, a 30-year-old real estate broker, got it at auction for $145,000. While the building was salvageable and partly repaired after the flood, he plans to tear it down and spend as much as $200,000 to build higher and sturdier to protect his investment. This week, the state completed a series of auctions that began a year ago, selling 417 homes for $66 million. 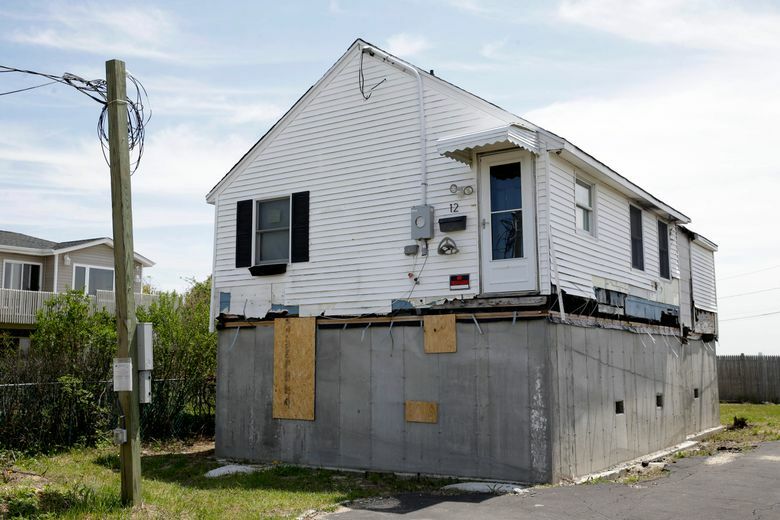 The state purchased the homes for $140.5 million, using funding provided by federal disaster relief after Sandy and Hurricane Irene, which struck in 2011. 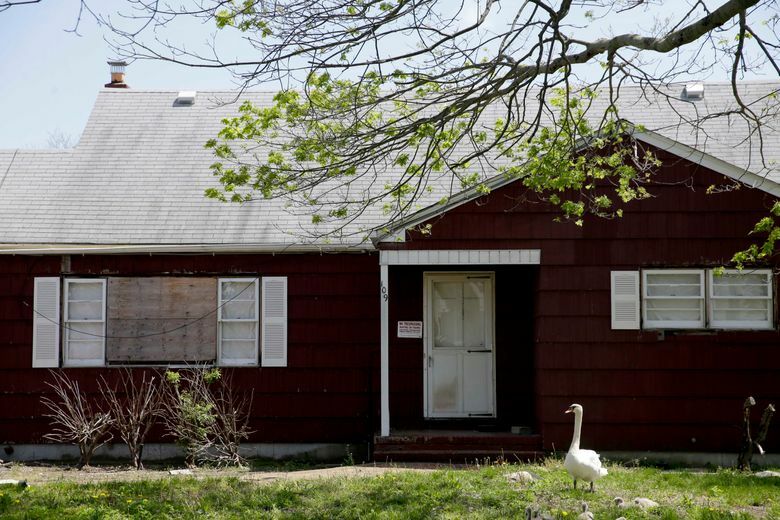 State officials say there is an advantage to selling the homes for deep discounts to restore neighborhoods devastated by Sandy, which damaged thousands of homes, killed 182 people and caused about $65 billion in damage. The houses “are properties we want to see on the tax rolls,” said Lisa Bova-Hiatt, executive director of the Governor’s Office of Storm Recovery. 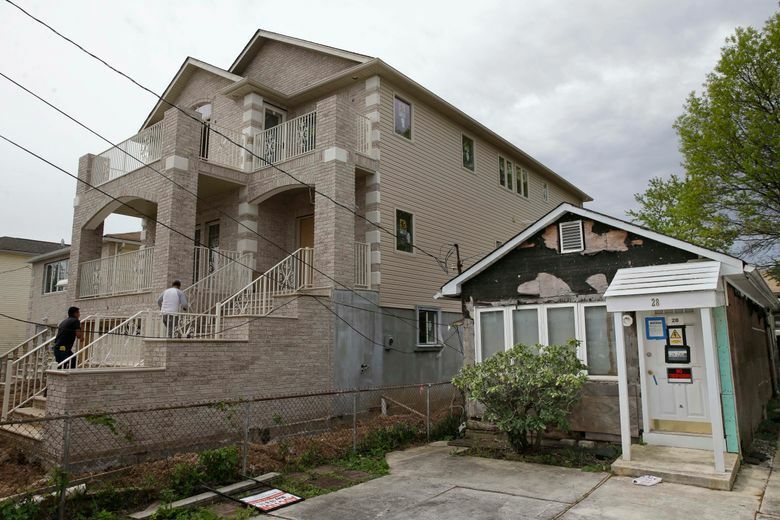 The state demands all redevelopment of the properties be consistent with local zoning regulations, many of which have been strengthened after Sandy to require fortification against storm damage, including requirements to raise the living areas of rebuilt houses above the flood plain. Many shoreline neighborhoods have been filled with construction workers lifting structures higher. 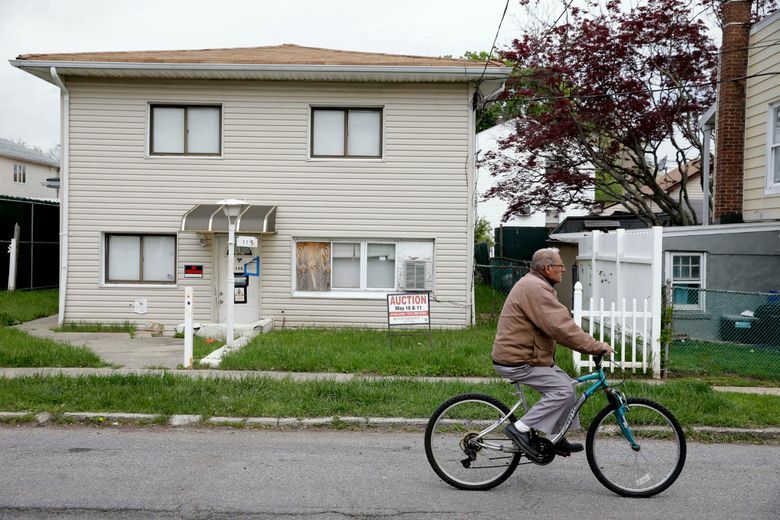 Besides the homes in the auction program, the state also bought out more than 550 property owners in Staten Island and eastern Long Island for nearly $63 million. Those houses were deemed too vulnerable to future storms and have been permanently abandoned. 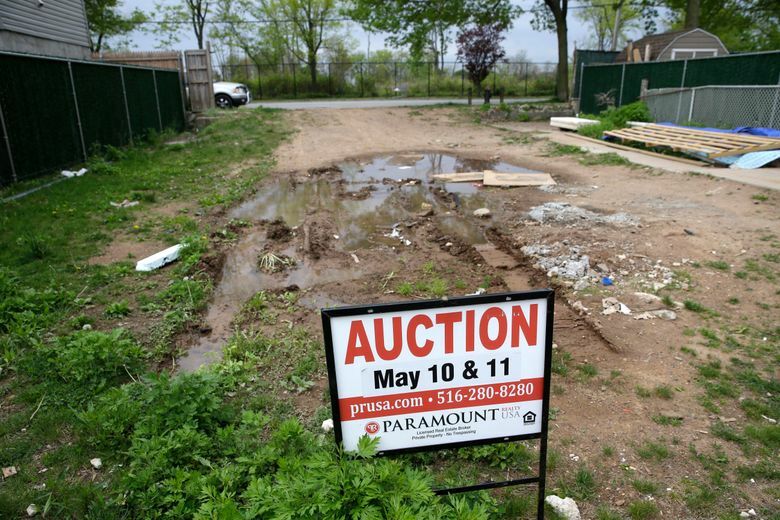 At Wednesday’s auction, at a Long Island hotel, potential bidders were greeted in the parking lot by representatives from demolition companies, general contractors, architects, asbestos abatement and other home improvement businesses. 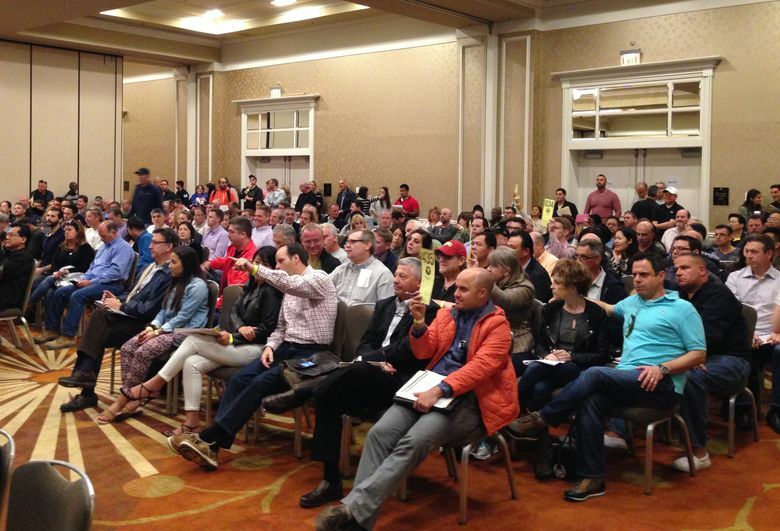 Inside, a standing-room-only crowd of more than 300 filled a ballroom, where bidders gobbled up about 50 properties located on Long Island’s south shore. 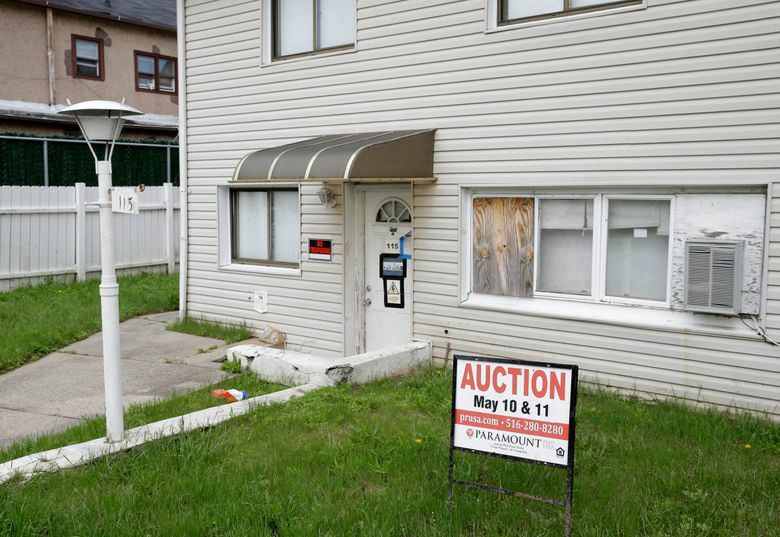 Bids went as high as $600,000 on the first property, but the prices soon plummeted into the mid-100-thousands. 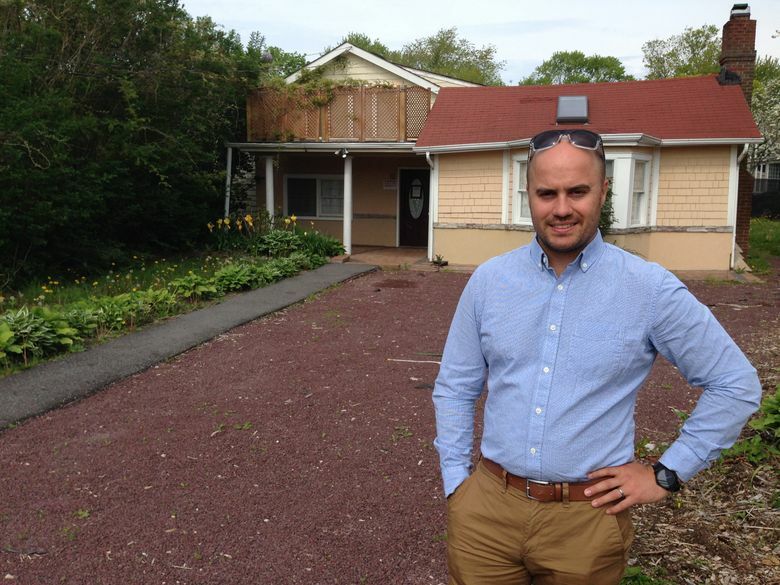 James Normile bought a four-bedroom colonial on a canal in Lindenhurst for $185,000. Before Sandy, it was valued at $470,000. Price, too, said he was willing to take the risk.